Pixel Fable is a collection of interactive Afrofuturist stories. They are fantastic tales of astronauts and starships, of sailors and witches, and men and women from the past and future. 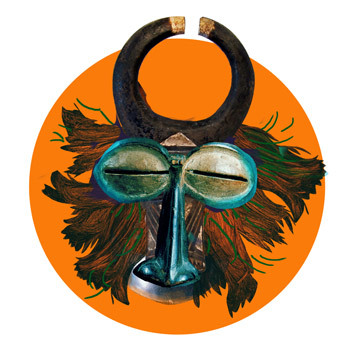 It is an interactive archive of African and Diasporan tales, designed and developed for the digital age. These stories rely heavily on AfroFuturism. Afrofuturism is a methodology that uses pieces of the past, both technological and analog, to build the future. It’s heavily concerned with African consciousness and the methodology of liberation. Whether it’s anthropomorphic animals, or sci-fi narratives about African astronauts on the moon, I create stories that mix traditional culture, science fiction, and digital design. Senongo Akpem is a Nigerian-American designer and illustrator. He has been designing and illustrating these narratives since 2011. Senongo’s writing on culture and design has been published in A List Apart, Smashing Magazine, and Net Magazine; and he regularly speaks at design and tech events, with talks focusing on digital storytelling, transmedia, and cross-cultural design issues.